Info During his tenure in Congress, Wayne Gilchrest has emerged as a strong voice for fiscal responsibility and environmental protection. His consistent support for reducing federal spending and eliminating the deficit has won him accolades from many taxpayer watchdog groups during his first six terms. He also has dedicated his attention to protecting and preserving the delicate environment of the Chesapeake Bay region, and to enhance and encourage economic development within the 1st District of Maryland to improve the quality of life. Gilchrest serves as Chairman of the House Subcommittee on Fisheries Conservation, Wildlife and Oceans, and oversees the management of our nation's fisheries. The committee also has jurisdiction over all wildlife refuges, including Blackwater National Wildlife Refuge in the 1st Congressional District. Gilchrest has an ambitious agenda as chairman, and hopes to focus attention on the maintenance problems plaguing our wildlife refuges. He will also be reviewing our nation's fisheries management, and recommending changes to that important system. The committee is critical to the 1st District of Maryland where thousands make their living from the water. 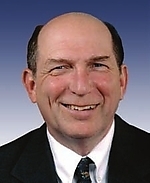 He also serves as a senior member of the House Resources Committee and the House Transportation Committee, and serves on the Water Resources and Environment Subcommittee, and the Subcommittee on National Parks, Recreation and Public Lands, and the Subcommittee on Coast Guard and Maritime Transportation. He is also a member of the House Science Committee. He is Chairman of the Chesapeake Bay Watershed Task Force, and co-chairs the House Climate Change Caucus, and the House Corps Reform Caucus. This year, he helped organize the House Organic Caucus and will serve as its co-chairman. He's also a member of the House Rural Health Care Coalition. Born in Rahway, New Jersey, he was the fourth of Elizabeth and Arthur Gilchrest's six boys. After graduating high school in 1964, he joined the U.S. Marine Corps. His tour of duty saw action during the invasion of the Dominican Republic, and ultimately the Vietnam War. He earned the rank of Sergeant in Vietnam, where as a platoon leader, he was wounded in the chest. Wayne was decorated with the Purple Heart, Bronze Star, and Navy Commendation Medal. Today he is a member of the American Legion, Veterans of Foreign Wars, and Military Order of the Purple Heart. In 1969, he studied liberal arts at Wesley College in Dover, Delaware, where he received an associate's degree. He then spent a semester in Kentucky studying rural poverty in Appalachia. He went on to receive a bachelor's degree in history from Delaware State College in 1973. Since then, he has done some work toward a Masters at Loyola College in Baltimore. Throughout his teaching career, Wayne has taught American History, Government, and Civics in New Jersey, Vermont, and for eight years at Kent County High School in Worton, Maryland. As a teacher, Wayne coached the mock trial teams, and often organized student visits to Washington, D.C. and the United Nations in New York City. Wayne and his family spent part of 1986 living in the Idaho wilderness where he worked for the Forest Service in the Bitterroot National Forest. The experience gave him a greater appreciation for the sanctity of our federal lands and the environment. Wayne and his wife, Barbara, have three children. They live on Maryland's Eastern Shore. MD - District 01 - Nov 04, 2008 D Frank M. Kratovil, Jr.